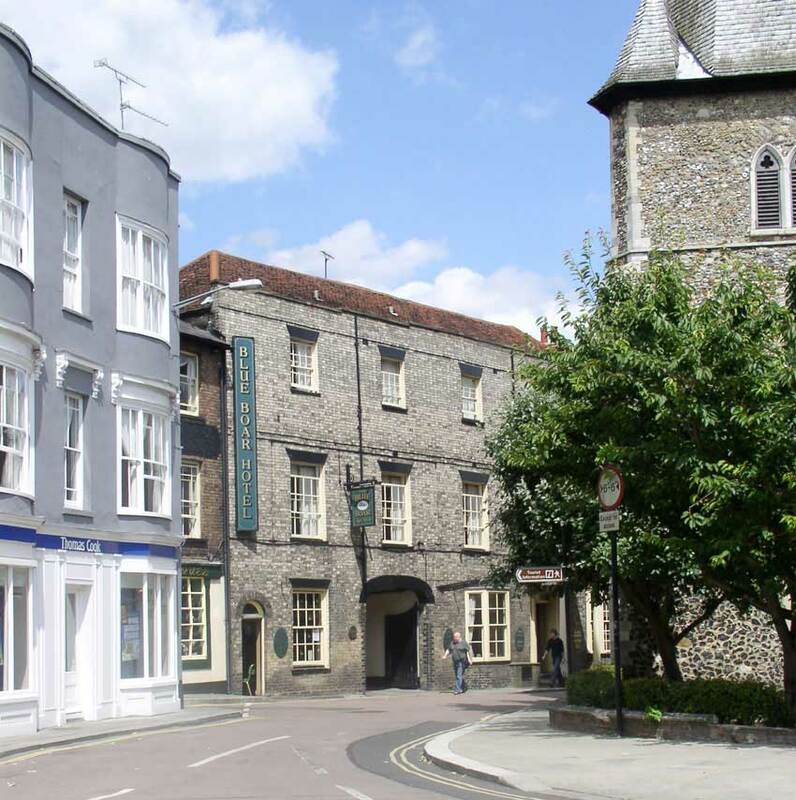 The Blue Boar Hotel Silver Street Maldon this picturesque coaching Inn dates back to the 14th century. The building over the years withstood the changes of time, its interior and bars ooze the character of times past. The builings on the right hand corner is the unusual three sided tower of All Saints Church. Picture was taken on July 8 2006.